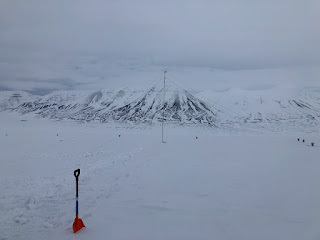 Mikko and I have been building a little HF radar this week in Svalbard. 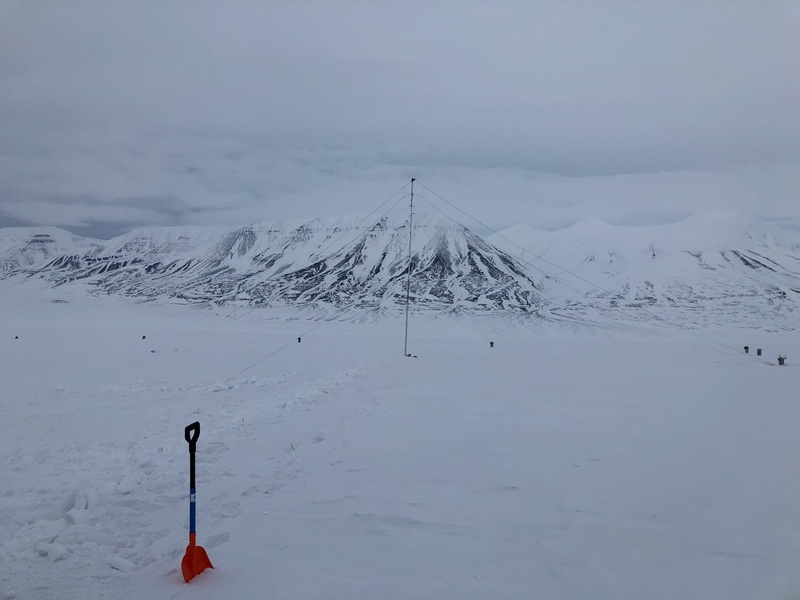 The idea is to make radar range-Doppler resolved measurements of the polar cap ionosphere with low frequencies, build a prototype of a low cost open source ionospheric research radar, and to get some fresh air. The radar is the type of a spread spectrum radar, which we've used in the past for meteor radars, and also ionospheric radars at Jicamarca. Our long term goal is to expand this radar into an ionosonde. We're now in the process of acquiring a transmit license for a wider range of frequencies to try this radar as an ionosonde. The radar uses a single antenna for transmission with about 100 mW. We also use a single active magnetic loop antenna for receive. Here's the transmit antenna. A very basic broad band resistively loaded Diamond WD-330 folded dipole. We're using the location of the SuperDARN radar antenna as a temporary site for testing. Let's hope we don't get another ice storm. 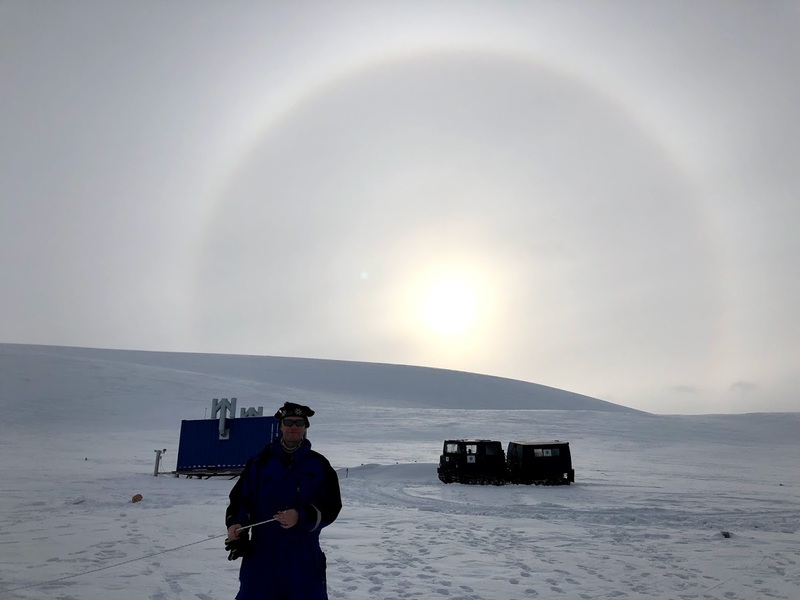 The sun is starting to shine bright in the polar spring. On the right, you can see the receive antenna, and the transmit antenna in the distance. 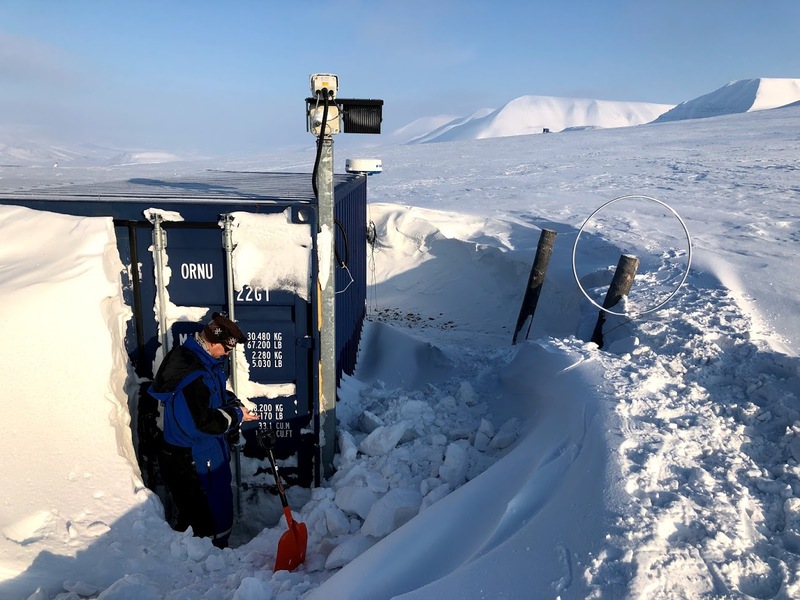 Lot's of snow to remove, just to open the container. Another picture from when we were setting up the transmit antenna. After a few trips, we got all the hardware setup. The last remaining battle was RFI on the receive antenna. We're not really sure what the problem was even after we got rid of the RFI. 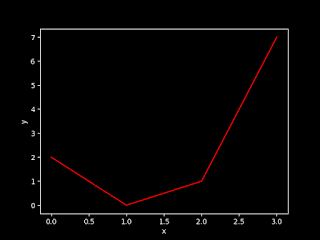 The UPS was creating a lot of noise, and so was the laptop we used with the software defined radio receiver. We tried locating the receiver antenna further away, with a modest improvement, which allowed us to see the first echoes. We then moved the code from the laptop to a PC, and even more of the RFI was removed. We're still not sure what the problem is, but we suspect grounding issues. 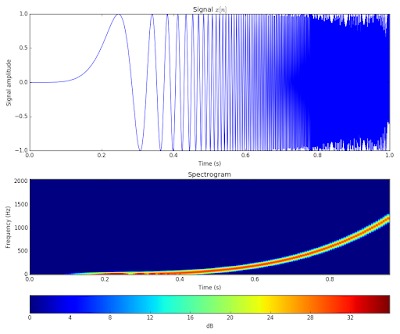 We still haven't solved the interference problem completely, so any suggestions are welcome. We're thinking of changing the active loop antenna to a broad band dipole similar to the transmit antenna also on receive. Our transmit antenna works perfectly fine as a receiver, with very little RFI. Anyway, here are some first light results from the radar. We only transmitted on a very narrow bandwidth (5 kHz), which limits our range resolution quite a bit. But things seem to work nicely. The polar cap ionosphere is extremely dynamic, involving convection of patchy plasma, with plenty of ionospheric irregularities on the wavelength scale. We even saw some overhead E-region echoes with a broad range of Doppler shifts in our test.